Directions： Take a proper amount of shower gel on the palm of your hand, add water to the sputum, apply it to the body after foaming, then rinse off with water. Deep cleansing and conditioning skin, gentle foam to purify pores, improve dullness, even skin tone, whitening skin, promote keratin renewal, and simultaneously enhance skin elasticity and luster, refresh and not greasy after washing, leaving skin clear and bright . Buying body wash is most afraid of slippery after washing. How to flush water has the feeling of not cleaning. Before buying some other brands, it is still very slippery after flushing water several times, but this body wash is different. It is refreshing and non-sticky after bathing, and the fragrance of this bath milk is fragrant. It combines elegant fruit fragrance with fragrance of fragrant flowers. Besides, the foaming degree of this bath milk is very good. You can see thick bubbles with a few rubbing hands, and the rich and dense foam can save the body wash and save your wallet. 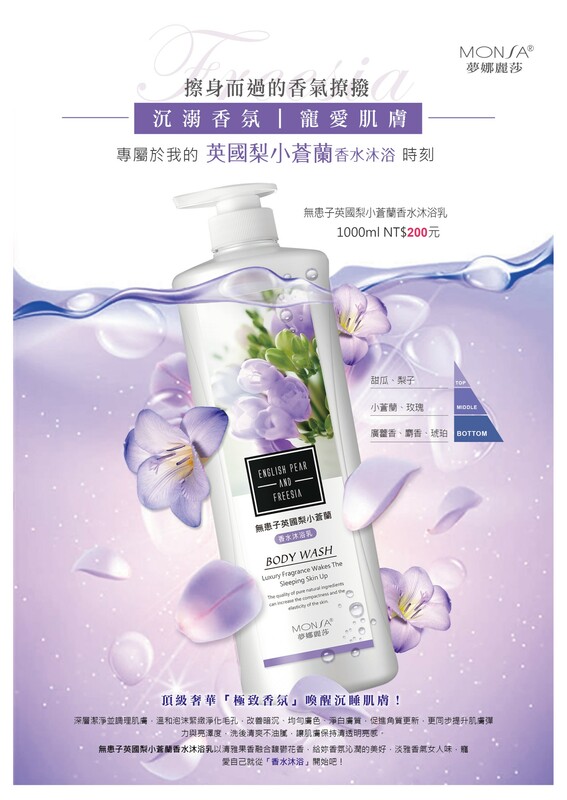 In addition to the above two characteristics, the most attractive part of this body wash is that it can promote keratin renewal, while improving the elasticity and gloss of the skin, whitening the skin, the product itself contains natural plant extracts, which can gently clean the skin, without worrying about containing unknown chemical ingredients, causing allergies. Although it is the first time to use this bathing lotion, but many advantages make me want to buy back again. Take a proper amount of shower gel on the palm of your hand, add water to the sputum, apply it to the body after foaming, then rinse off with water.